"There are challenges which life throws at you." 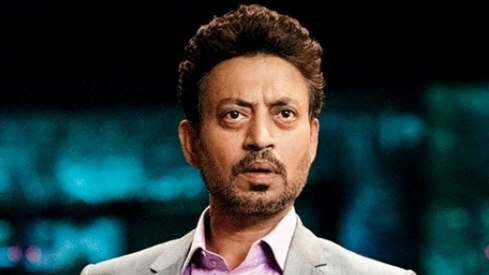 Irrfan Khan is a Bollywood star and Hollywood chameleon who has bounced between the two with ease for decades. 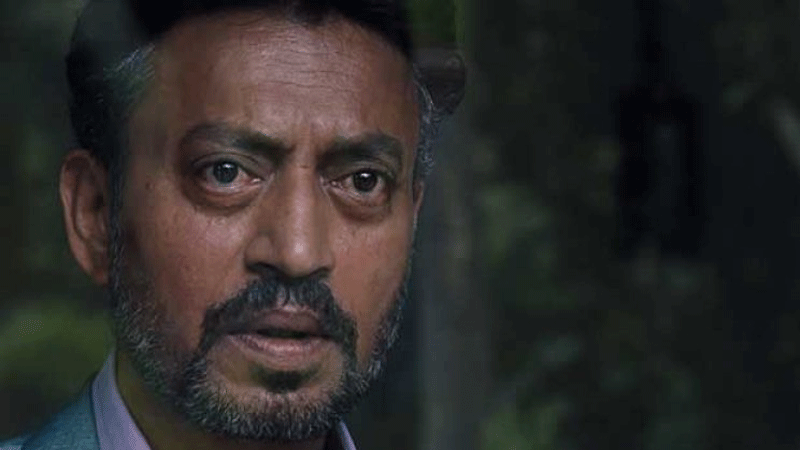 He's worked with everyone from Mira Nair to Wes Anderson and Ang Lee and stealing scenes in both Oscar-winners (Slumdog Millionaire) and blockbusters (Jurassic World) alike. But all that’s been put on hold as he undergoes treatment in London for a neuroendocrine tumor, a rare form of cancer. Although Khan’s life now is very different from only a few months ago, he still has films that he worked on as recently last year coming out, including Puzzle, a poignant character drama expanding to 11 cities this weekend. The indie film from Oscar-nominated producer Marc Turtletaub (Little Miss Sunshine) is about a stifled suburban housewife, played by Kelly Macdonald, who forms a bond with a more cosmopolitan man, (Khan), over a shared fondness for puzzles. 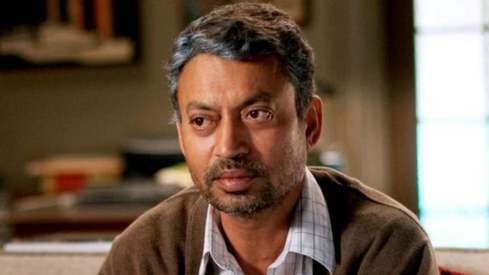 It’s one that the 51-year-old actor is immensely proud of, and eager to talk about, but, he also knows very keenly how unpredictable his life has become. When I call him for our interview, he answers politely and informs me that he’s been hospitalised the night prior and asks if might be possible to call him back in 10 minutes. Of course, I say. This happens again, when Khan’s doctors come in to talk to him and he politely asks if we might pick it up tomorrow. KHAN: I was looking for something for a long time in American cinema, Hollywood cinema. I have been reaching for this, for a personal experience where I could invest myself and I could have more meat that I could get apart from myself completely and get into something which is unknown. This character had complexity and a strange unpredictability where he himself doesn’t know where things are moving and is in a limbo state. There are so many interesting angles to this person. I was looking for something more personal and to redefine my involvement in a story, where my soul could entangle with this story. You want residue, you want it to last. So it had all that. And the simplicity of writing was fantastic. It was a complex situation, but I love that the way it comes out of the characters’ mouths is very simple. So I fell in love it with it and I shifted my schedule in India and said, “I’m going to do it.” It worked out and I really loved it. KHAN: I’ve seen life from a completely different angle. You sit down and you see the other side and that’s fascinating. I’m engaged on a journey. AP: There’s been a lot of speculation in the media about your condition and you’ve made pleas on social media not to trust the reports. But what do you want people to know about what you’re going through? KHAN: There are challenges which life throws at you. But I have started believing in the way this condition has tested me, really, really tested me in all aspects — physical, emotional and spiritual. It has put me in a rapture state. Initially I was shaken. I didn’t know. I was very, very vulnerable. But slowly, there is another way to look at things that is much more powerful and much more productive and much more healthy and I just want people to believe that nature is much more trustworthy and one must trust that. The problem with me initially was everyone was speculating whether I would be out of this disease or not. Because it’s not in my hand. That’s nature that will do whatever it has to do. What is in my hand, I could take care of that. And it offers so much that you feel thankful. The way it is opening your windows to look at life. I would have never reached that state even if I had done meditation for 30 years, I wouldn’t have reached it. But this sudden jolt has put me into a platform where I could look at things in a completely different manner. And for that I am really thankful. It sounds strange, but they should trust nature rather than feel sad, and trust that whatever the outcome, it will be for good and it will be for the best. KHAN: No, I’m completely out of reading scripts. This has become a surreal experience. My days are unpredictable. I used to think my life would be like that, but I could never practice unpredictability and spontaneity. That has happened now. I don’t plan. I go for breakfast and then I don’t have a plan. I take things as they come. That has been really helping me a lot. I don’t make plans. I’m just spontaneous. And I’m loving this experience. There was something missing in my life. I was feeling a little manipulated by myself, by my own mind. There was a kind of disharmony in myself. It was bothering me. And I think this is what I was missing, this spontaneity. I know because we live in a world that is packed with plans, it sounds unrealistic. How could you live your life like that? But life is so mysterious and has so much to offer, we don’t really try things. And I’m trying and I’m loving it. I’m in a really fortunate state. AP: You’re in London going through treatments. Is there anything you can share about that? KHAN: I have had the fourth cycle of chemo. And I have to have six cycles and then we need to have a scan. After the third cycle, the scan was positive. But we need to see after the sixth scan. And then we’ll see where it takes me. There’s no guarantee of life with anybody. My mind could always tell me to hang a kind of chip on your neck and say, “I have this disease and I could die in a few months or a year or two.” Or I could just avoid this conversation completely and live my life the way it offers me. And it offers so much. I admit I was walking around with blinders. I couldn’t see what it offered me. KHAN: Exactly, and clarity came like lightning. You stop your contemplation, you stop your planning, you stop the noise. You see the other aspect of it. It gives you so much. Life offers you so much. That’s why I feel like I have no other words but thanks. There are no other words, there’s no other demand, there’s no other prayer. I have been very close to this and I know from my personal experience that it is hard very hard for anyone having this physical ailment despite best treatment and everything. I pray he survives it and gets better soon. He's taken the next step. What a wonderful, charming gem of a man! Get well soon Irfan Bhai ! You are simply superb actor!! Piku is my favorite!! Wonderful actor and a thorough gentleman. He deserves to live long. garovila or sour sop may used for cancer patient. All my prayers are with you! Get well soon! !